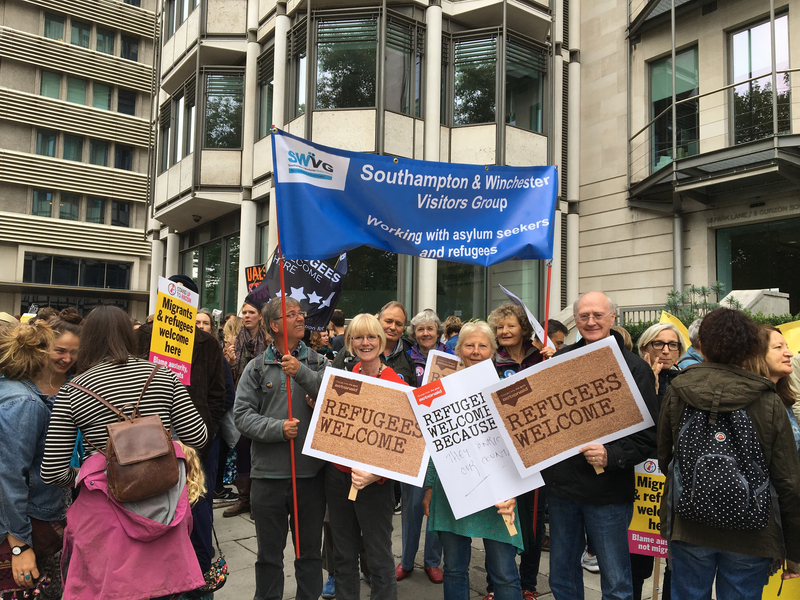 Our Campaigning Group plans and manages campaigns to improve the lives of asylum seekers and refugees, drawing from our direct practical experience in Southampton and Winchester. Our campaigns may involve contact with our local MP’s and other political parties, letters and articles for newspapers, going on radio and TV, and joining demonstrations. We participate in campaigns by national refugees organisations where these are relevant to our local issues. The experienced Training Group provides a Training Programme for all new recruits. We also provide specific tailor- made training sessions for visitors and other members in response to their expressed learning needs. In addition, when requested, we have provided training for volunteers in other charities who are working with people seeking asylum. We run one-to-one and group English language classes for those who need this support, drawing on skills of SWVG members who have the appropriate training. In 2017 we took a major step to improve our provision of housing to asylum seekers by renting a house in Southampton to use as a hostel for up to six people. The house has been full throughout and allows us to accommodate those who struggle to find accommodation elsewhere.